Rathbone East is a really modern development in Canning Town. 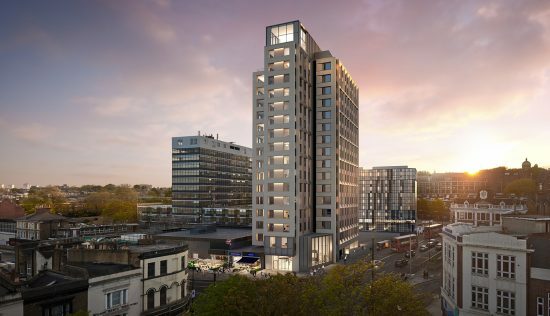 The area is undergoing a lot of regeneration, with hundreds of new flats being built, so in the next few years it’s likely to have a brilliant community feel. Transport links are good. High street is ok – over time more shops and restaurants are coming. Meydan is particularly good. The building is great – everything is very modern. But we have been renting for 2 years and have noticed cracks forming along the walls, and signs of mould coming out on the walls. Customer service has been really good and responsive, there is a building team that we liaise with, and with any issues they always sort it out and keep us updated. The maintenance team are also very good in fixing things, doesn’t take them long at all. The only complaint I have is that the lift seems to break quite frequently, but again, is fixed very fast. The development is sleek and modern and I like that there is an on site property manager. I also admire the attempt at social events organised. However the quality of work done and products used within the property are not of high enough standard and the constant ongoing maintainence is a real hinderance to residency. I like that it is quick and convenient to travel into central London. I really dislike the surrounding area, the neighbourhood has no modern shops, supermarkets, pubs or cafes and is very scruffy. The site is generally good, good location that has convenient transport links. The building finishing is well done to a decent standard.. The shortfall is the property agent, R&R, has been disappointing on many fronts. The annual service charge for maintenance is 60% more than the sales materials, which translates to >1.5k expenditure. All complaints have been ignored, and the developer EcoWorld, completely aware has let it happen. So the negatives have far outweigh the positives. I like the area, it is has many convenient transport links to central London. Value: Expensive, but where in London isn’t?! Rathbone Market is a multi-use development comprised of apartments and retail space, all dotted around landscaped courtyards. There’s a lot going for this place, but one of its best features is its location. Rathbone’s high-rise buildings overlook the well-placed A13, which connects East London to Central London and provides a gateway to Essex. 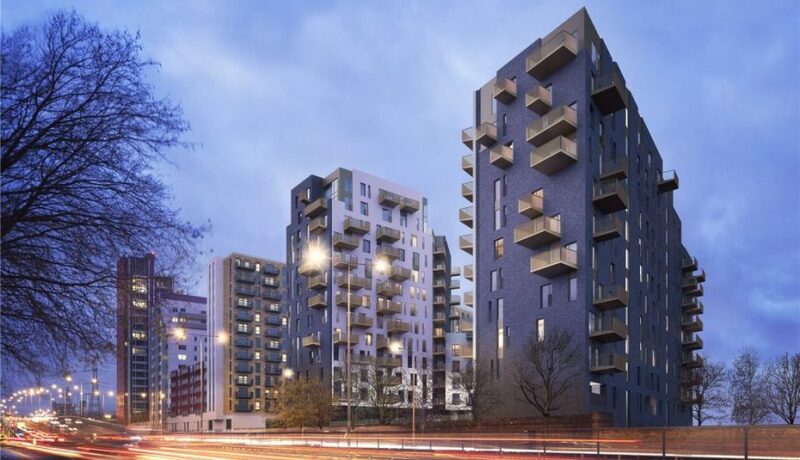 Even better, the development is only a five-minute walk from Canning Town Station, where bus, tube and DLR services are on offer to get residents to the likes of Canary Wharf and Stratford (both two stops away). 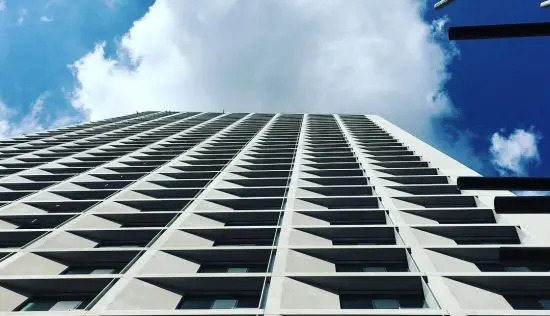 Rathbone Market apartments are housed in sky-piercing blocks. For the facades, the designers paired dark brickwork with pops of colour, giving the development a fun, contemporary feel. Inside, expect a welcoming, open-plan design. Fresh white walls and laminate flooring work together to meet the ‘modern minimalist’ brief. As a result, the space is really easy for residents to personalise. Kitchens feature design-led earth-tone cupboards and integrated Bosch appliances, and bathrooms are nicely tiled, and equipped with nice-to-haves like a heated towel rack. As for the master bedroom, that’s got a floor-to-ceiling window that let you enjoy your morning coffee with a view. 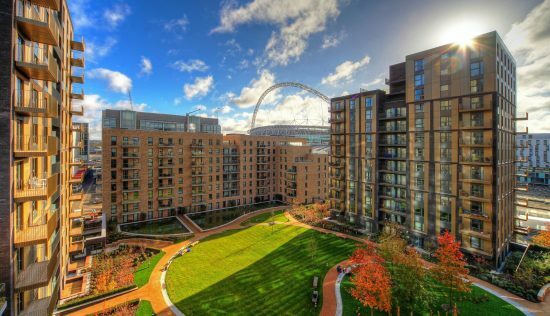 All apartments come with a balcony that offers sweeping views over East London. Rathbone Market facilities include a library, space for bicycle storage and a Fit4Less gym. There’s also a dry cleaner, bakery and co-op in the apartments’ close proximity, so everyday living is fuss-free. As for the local area, it’s seen lots of growth in recent years thanks to a colossal regeneration scheme. 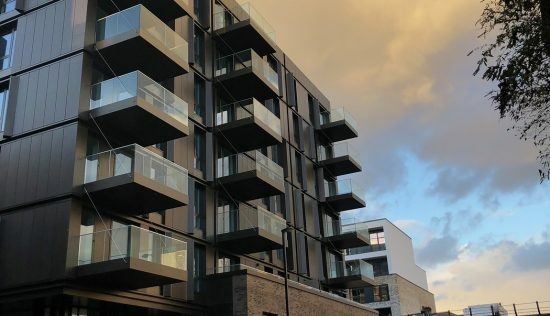 An influx of glossy apartment blocks (Fizzy Canning Town and Hawksville Quarter are close to Rathbone), has meant a booming entertainment scene, so you’re spoilt for choice when it comes to independent restaurants, pubs and bars. Other walkable attractions include the Emirates Air Line Cable Car, Star Lane Park and the New Docklands Steam Club. The site is generally good. The surrounding area is undergoing rapid redevelopment which is a good thing. The building itself has an excellent exterior. Some things have evidently been made quite cheaply (there are occasional breakages) but overall it’s a great place to live. I have been unable to find a place to rent of this quality or higher for a better or even similar price. The area looks much nicer with this building present. There is an excellent view of the O2 from the balcony. 1Gb broadband has just been installed too for a very competitive price, which I am in the process of switching to. There is no service charge, that is all bundled into rent which makes things much simpler. The site manager is a lovely chap, exceptionally friendly and always very polite and helpful. Events for residents tend to be held biannually and are always good fun. You will struggle to find a better place this close to central London. The area has excellent transport links. Canning Town to Canary Wharf takes less than 10 minutes. To get to Westminster takes 16 minutes from canning town station. Local amenities and shops are often independant which gives the area character. There has been some gentrification of late, with a Nandos intending to open in the near future. 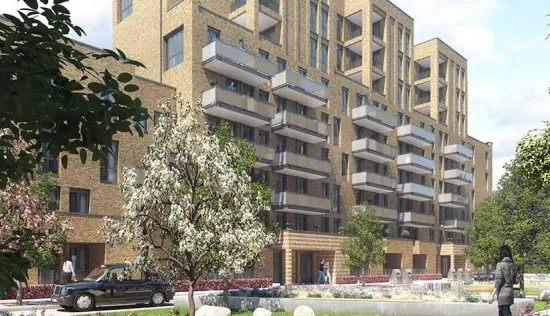 Stratford can be reached easily from here which has plenty of shopping opportunities, but options in Canning Town itself are more limited. Canary Wharf shopping centre is also excellent for quieter weekend shopping in a great location. I wish I’d known about the Rathbone market stalls (on Rathbone market Friday and Saturday) before moving in. It took me a while before learning about them, and they’re excellent for a variety of good quality, value meat, fruit and vegetables. Development is nice overall. However near highway, really windy, lift breaks regularly, water heating surprisingly frequently switched off, takes very long for issues to be fixed (like broken entrance to building).